Most individual investors get scared when stock prices plummet. Most individual investors also underperform the market itself consistently. This is no coincidence. Market drops are a great opportunity to put new capital to work – especially if you’re an income investor. 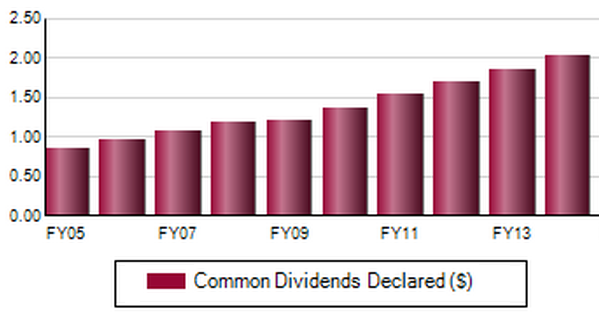 When you purchase shares for cheap, you’re also getting more dividend per dollar you invest. This boosts your portfolio’s overall yield. And you can actually turbocharge this strategy, too, simply by avoiding a single pitfall. If you buy a stock for the dividend, is there any reason why you should care if its price goes down or up? Hopefully you won’t need to spend the capital within five years– otherwise you should have purchased a shorter-term vehicle that guarantees return of principal, like a CD. The average bear market only lasts 18 months, so any price decline – even a major one – will eventually come to pass in time. Especially for high yielding issues, as they tend to drop less than the broader market during bear routes. Which means your income portfolio is going to be fine – unless deep down, you’re worried that your dividend payers are paper tigers. Credit risk is the only thing that can seriously derail one of your investments, whether it’s Puerto Rico defaulting on its municipal debt, or Wynn Resorts (WYNN) slashing its dividend because gaming revenue in Macau went bust. When these payouts get cut, your temporary price losses become permanent, because the income stream that investors counted on ran dry. When the broader markets start dropping sharply (as they always do from time-to-time) and you get a little nervous (as all investors do from time-to-time), the best thing to do is check the creditworthiness and future cash flows of your dividend payers. It’s a good exercise to do regularly anyway, and it’ll help set you at ease. Last week, we analyzed dividend aristocrat Kimberly-Clark (KMB) and discovered that its payout may come under pressure in the years ahead due to underlying business weakness. Which means you should not buy KMB on dips – it’s fool’s yield. If you own it, you should probably just sell it – and accumulate shares in companies that will continue to increase their cash flows and dividends in the years ahead. In our last issue of The Contrarian Income Report, I highlighted a healthcare stock that more than doubled its dividend over the past decade. The company’s cash flows and payouts barely missed a beat during the 2008 financial crisis. It now pays 6.5%, thanks to a recent price decline that has more to do with broader sentiment than it does specific fundamentals. Every time the DOW drops 500 points, investors get nervous that we’re going to see a repeat of 2008. But as you can tell from this dividend staircase above, even if that happens, it’s not going to affect this company’s ability to generate cash flow and pay a higher and higher dividend. Its major addressable market is going to triple over the next three decades, so as long as management continues to execute, the yield payment and growth will continue. The stock price will gyrate as stock prices do. Over time, it will make its way up and to the right. But as calmingly predictable as those dividend steps look, I’m actually rooting for more gyrations. I prefer a higher initial yield on our safe income stocks, and I appreciate that if the market didn’t lose its mind now and then, we wouldn’t have any safe 6% plays to swoop up. If you’re interested in earning 6.5% in annual, growing dividends with this stock, you can learn its ticker and receive a free trial to The Contrarian Investing Report right here.